When we promulgated the Constitution, it brought with it devolution, which, many thought, was the long-awaited Third Liberation. That experiment – in the eyes of some – is a flop – in terms of creating the Kenyan state. Do you agree? The Third Liberation is not a flop. Neither has the devolution experiment flopped. What we have had in the last eight years are challenges of implementation and not disillusionment with the Constitution. People in the former marginalised counties of northern Kenya, the coast and other regions of the country are getting unprecedented levels of services. Many have services that they have never had since independence. Even in the developed areas, there are better services delivered under devolution than before it. Nonetheless, the Constitution is more advanced than Kenyans themselves; it is a modern and progressive constitution governing a highly particularistic Kenyan society. The leaders we have cannot govern with this constitution because all of them have an old default – “control” rather than “consult and dialogue”. This is where the challenge is. Of course it will take long to have some real change, because we are afraid of doing things right. The many things that we ignore now as a society will one day constitute sufficient pressure and society will simply implode to occasion real change. It may not happen tomorrow, but it certainly will, probably within the next decade. This will happen if we are do not pause to do things right – something that is clearly spelt out in the Constitution. Our failure to effectively implement the Constitution is the bane of our society and we are going to pay for it dearly. If you could dissect history briefly, is there a national project still, or have we become too ostracised as a country that it is pointless to dream about our nationhood? Is there promise in that endeavour? Nations are built in the minds of men and women who do things that address the challenges of everyone, with great fairness and justice. They are born when people see themselves in the same manner irrespective of where they stand. Nations are built when people have shared values; when people respect the values that hold them together as a people. Unfortunately we have replaced the values that bind us together with greed, particularism, and lack of a communal, cosmopolitan spirit – which has been eroded and replaced with a rise in ethnic nationalism rather than a Kenyan narrative. To build the Kenyan nation, we must go back and build a society where men and women are treated the same way – and equally – irrespective of their tribe, culture, income, class or religion. We must aim to have a society where the people’s future and destiny is not determined by the tribe or family they come from, or the connections they have but by their skills and character. We have eaten the foundation on which to build this society. But all is not lost. We can rebuild the society by going back to the drawing board to ask what can we teach in kindergarten, primary and secondary schools. We must ask what is it that we need to see religious leaders preach. Above all, we must begin by punishing errant political leaders because they are the cause of mire in which we are today. The current stand-off between the Executive and Judiciary has been called by some, including former CJ Willy Mutunga, as in intra-elite conflict and, to use the metaphor of the fighting bulls, those caught in the winds, like Miguna Miguna, just happen to be the “grass”. Others argue that it is the Dark State at work against events that threaten its existence and stranglehold on power. What is your take? 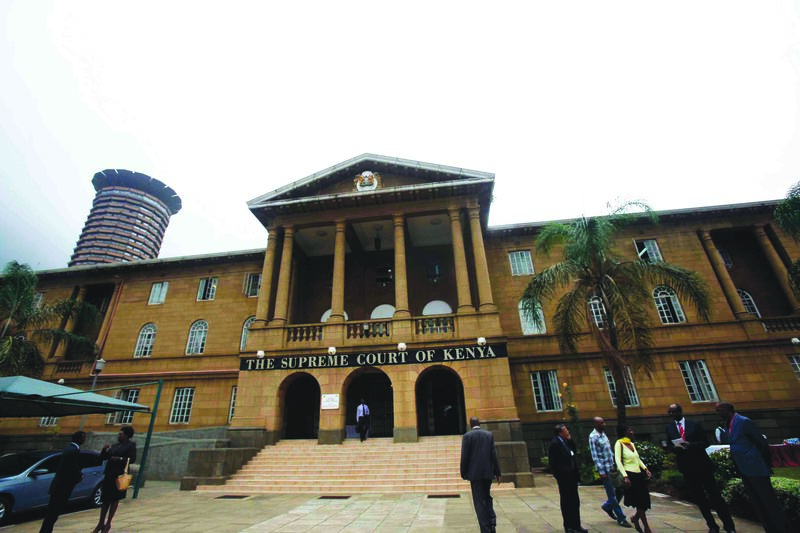 Kenya’s judiciary is the most reformed of all the arms of government. It is the only one that transformed after 2010. The Executive is uncomfortable with the Judiciary because, for the first time in history, the courts are bringing the other two arms to account, which has never happened. What is happening then is a fight between “progressives” and “status quo” elements of the old order. The latter are very powerful and will never willingly let change happen because that means losing of power and influence. There are divisions within the Judiciary – tribal, political, class, religious, etc. – which make the idea of the institution collectively standing up to the Executive decidedly difficult. 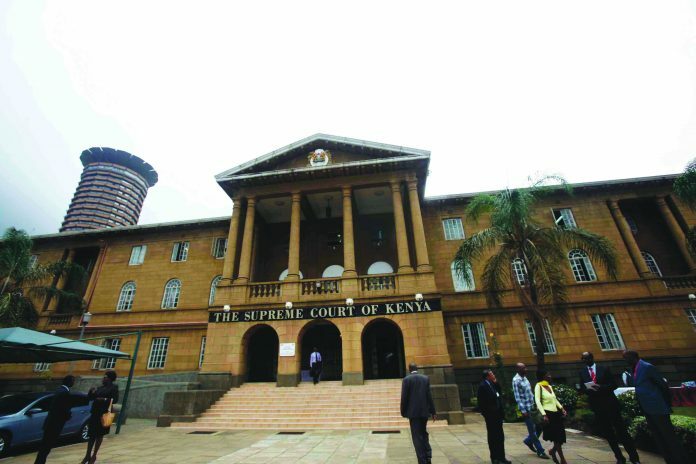 For example, these are manifest during selection of representatives, such as electing Presidents of the Courts and representatives to the JSC, where the political power of the Judiciary lies. How deep-seated are these and just how extensively do they affect the course of justice? What I see are ideological divisions within the institution. The first were between the radicals and the conservatives. The conservatives included a majority of the old judges who believed on a secluded Judiciary while the radicals believed in an outgoing institution and specifically one that respects and protects the aspirations of the ordinary person from the whims of the mighty and the powerful. Today we have new divisions – between progressives (not radicals) and conservatives. Unfortunately, the conservatives appear to be winning and are slowly bringing the Judiciary closer to the Executive by the day. If this were to happen, the Judiciary would be sleeping with the executive once again. The progressives have become fewer in numbers such that they are struggling to stop this unholy marriage. If the progressives lose the battle, it will be a sad day for constitutionalism. Can the public rise up to protect the institution? Are we at that point, do you reckon, where we can rise above our political divisions to entrench rule of law the civilian way, as it were? Kenya’s public today is not interested in governance; world over, there is a tendency by people to withdraw from governance and democracy space into social development. People are much more concerned about having basic functions work correctly – like getting clean water, passable roads, working hospitals and schools etc. – without realising that the rule of law is the foundation for how these are delivered. I do not see a situation where people can rise up to protect the institutions because they also view them differently. Previous articleEnd time for liberal democracy?